In Harrisburg, Carlisle and throughout the central PA region, businesses of all sizes are realizing the importance of regular duct cleaning. At Tuckey Restoration, Inc., we have a long history of providing commercial duct cleaning for both businesses and general contractors. 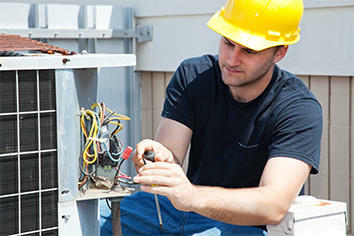 Contact us for expert assistance in York, Chambersburg and beyond. *For emergency commercial duct cleaning, call us at (717) 249-7052. Health Clinics: Any clinic that treats patients with allergies or sensitive immune systems should make regular duct cleaning a priority. In fact, many doctors’ and dentists’ offices are mandated by law to ensure their ducts are kept clean. Even beyond your regulatory obligations, taking steps to improve indoor air quality in your clinic can lead to improved patient outcomes and less chance of infection when performing delicate procedures. Pet Stores: Pet dander is one of the most common allergies in the world. Pet stores and veterinary clinics that take steps to improve indoor air quality have a better chance of retaining customers and generating goodwill. Dander, mites and other allergens accumulate in HVAC ducts and circulate throughout your facilities each time you use your air conditioner or furnace – duct cleaning and air purification systems are your first line of defense in reducing the spread of these irritants. 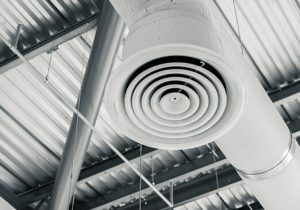 Manufacturing Facilities: Duct cleaning is recommended following any major home or business renovation due to the amount of irritants in drywall dust and other construction materials. By the same token, manufacturing plants that work with these products regularly should also make cleaning a priority. Protecting the health of your employees leads to reduced liability, fewer sick days and greater productivity overall. Commercial duct cleaning is only one component of improving indoor air quality, but it’s one of the easiest and most economical to have done. In addition to the health benefits, cleaning your ducts can also lead to improved system efficiency, which saves you money on your utility bills and extends the life of your furnace, air conditioner, exhaust system and other HVAC appliances. 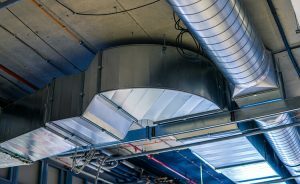 The Tuckey Companies are fully qualified to provide duct cleaning and install commercial air purification systems in York, Chambersburg and other major industrial hubs of the central PA region. Contact our office to request a consultation with one of our team members. We’ll assess the state of your business’s ducts and perform a number of indoor air quality tests to determine whether or not cleaning is necessary. Call, email or use our online form to begin the process today. To contact a Carlisle, York, Chambersburg or Harrisburg Commercial Duct and Air Purification Systems professional by phone, call (717) 249-7052. To make an online service inquiry, simply submit the convenient contact form and we’ll get back to you! "As executive director of the YMCA, I frequently rely on the staff at The Tuckey Companies for their expert guidance to address facility issues at our main building and camp facilities. Their knowledgable service technicians respond promptly to our needs - day or night - and work with us to achieve timely, cost-effective solutions with minimal disruption to our programs and member services. I highly recommend The Tuckey Companies for a wide variety of building-related needs."